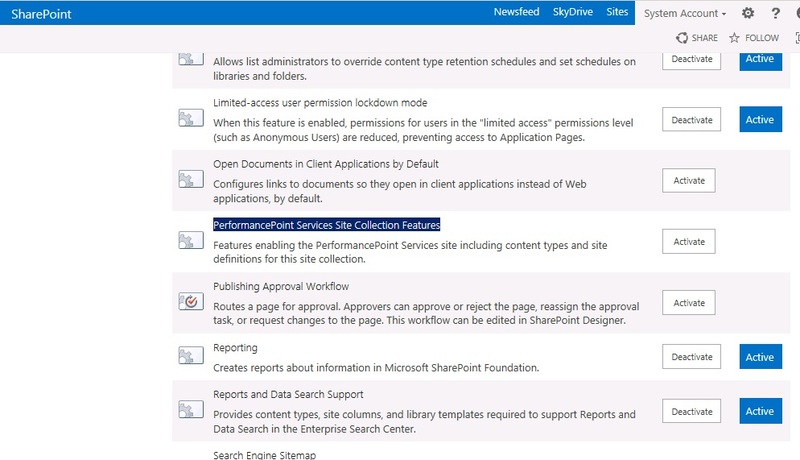 Posted by juanpablo1manrique in Install, SharePoint. SharePoint 2013. 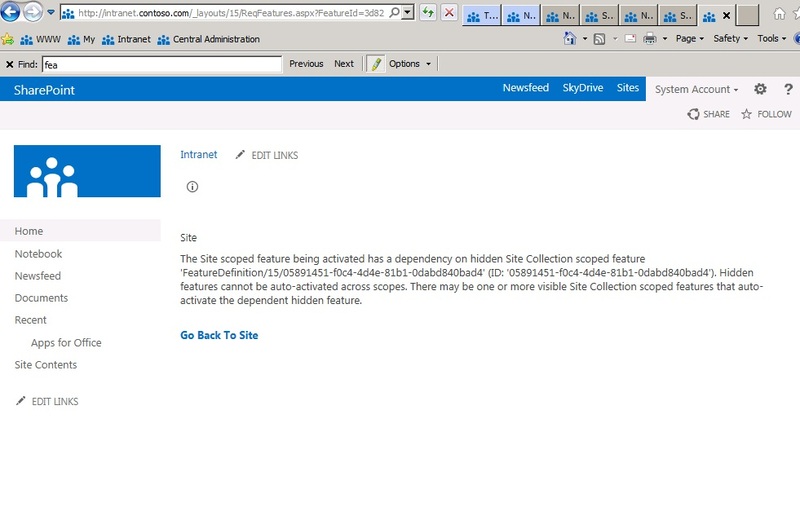 The site feature being activate has a dependency on hidden Site Collection scope Feature ‘FeatureDefinition/15/05891451-f0c4-4d4e-81b1-0dabd840bad4’ (ID:’05891451-f0c4-4d4e-81b1-0dabd840bad4). Hidden features cannot beauto-activated across scopes. There may be one or more visible site Collection scoped features that auto-activate the dependent hidden feature.